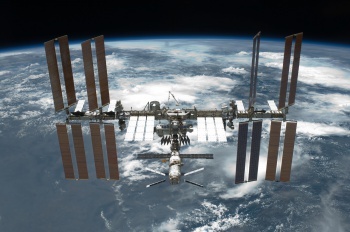 The ISS Astronauts will answer questions posted by YouTube users in a Google+ Hangout. NASA will host its first Google+ Hangout live with the International Space Station on February 22, from 11 a.m. to 12 a.m. EST. The ISS astronauts are going to answer questions about living and working 240 miles above earth. YouTube videos posted with the tag #askAstro before February 12th will be considered, as long as they contain a question and are less than 30 seconds long. Submitters should introduce themselves and mention their location before asking their question, and NASA says that "unique and original questions are more likely to be selected." If you're interested, you can also ask questions of the astronauts on the ground, who will answer during the event. Let's be honest, though, the real draw here is to have someone answer your question from space. During the event, questions can be asked live using the #askAstro tag on Google+, YouTube, and Twitter. Just before the event, NASA will open a thread on its Facebook page where questions may be asked. The astronauts participating will be Kevin Ford and Tom Marshburn of NASA, as well as the Canadian Space Agency's Chris Hadfield, who famously tweets beautiful pictures from the station. If you're not sure what Google+ is, or why it's actually more popular than you might think, NASA's G+ page is +NASA.